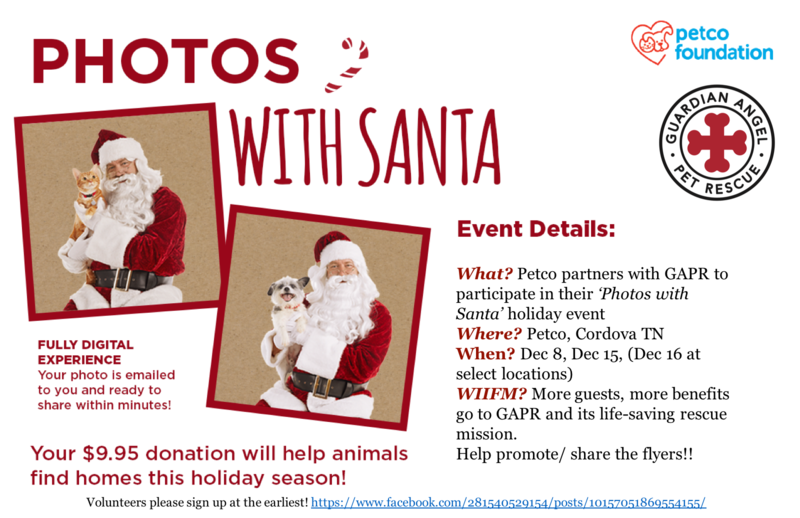 Join us at the Cordova Petco and let your pet visit Santa! Digital photos are available to print or share withing just minutes. For more info on Pet Photos with Santa, visit us on Facebook.